The team that loses will put its knockout chances under threat. It’d be the Sydney derby in the 49th game of BBL 2018-19. 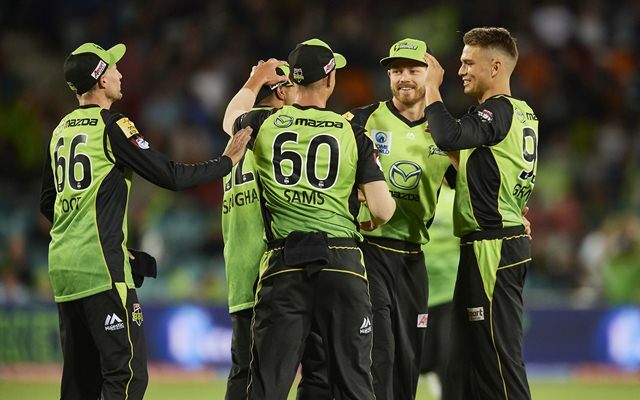 The Sydney Sixers will take on the Sydney Thunder at the iconic Sydney Cricket Ground. Both these teams have got two games each left in the league stages. However, they are yet to seal their spots for the semifinals. A win here could seal the deal for the Sixers. Or else, they’ll have to do it under pressure against the Melbourne Stars in their last game. The Thunder have got 5 wins in 12 games thus far. They need quite a few things to go their way if they are to enter the knockout stages. The best of all the options for them is to win both the remaining games. If they manage to win only one, a lot will depend on the other results. Roughly speaking, it is a must-win for both these teams. Four out of the five games this season at the SCG were won by the team that was chasing. The track tends to get better in the second half of the game and the ball comes on to the bat nicely. If they hit the right areas, bowlers are bound to find success. Although there is rain prediction in the early parts of the day, it is expected to clear up later on. This humidity, though, is predicted to be extremely high. The Sydney Sixers are expected to retain their squad from the last game. Josh Philippe will open the innings along with Daniel Hughes. James Vince is in good touch and is sure to continue at three. Moises Henriques, Jordan Silk and Jack Edwards will complete the batting line-up. Tom Curran, Sean Abbott, Steve O’Keefe, Ben Dwarshius and Ben Manenti will share the bowling duties. Predicted XI: Josh Philippe (wk), Daniel Hughes, James Vince, Moises Henriques (c), Jordan Silk, Jack Edwards, Tom Curran, Sean Abbott, Steve O’Keefe, Ben Dwarshuis, Ben Manenti. Matthew Gilkes, who injured himself earlier, might replace Baxter Holt if he is deemed to be fit. The remaining players are expected to continue in the team. If Gilkes plays, he will open with Shane Watson. Otherwise, Anton Devcich will continue with the opening position. The bowlers were great in the last game but the batsmen let the team down. Watson, Devcich and Ferguson – the senior players in the side should shoulder more responsibility. Predicted XI: Shane Watson (c), Anton Devcich, Callum Ferguson, Jason Sangha, Daniel Sams, Chris Green, Baxter J Holt/Matthew Gilkes (wk), Chris Jordan, Jonathan Cook, Gurinder Sandhu, Fawad Ahmed. 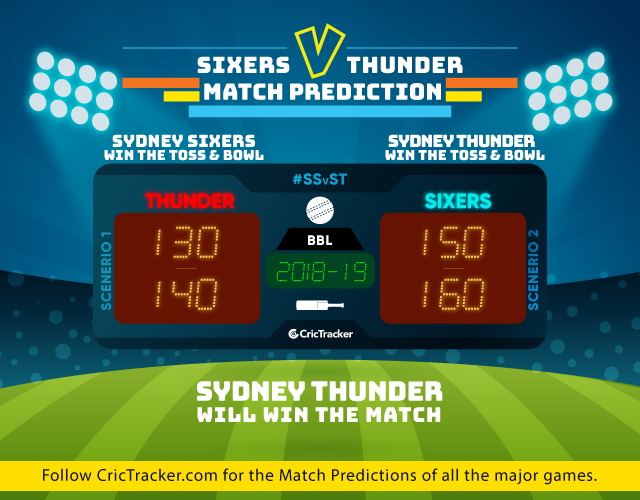 The prediction is that the Sydney Thunder will win.